A group of Mr. Zou Shiming, an Olympic boxing champion, and his wife Ms. 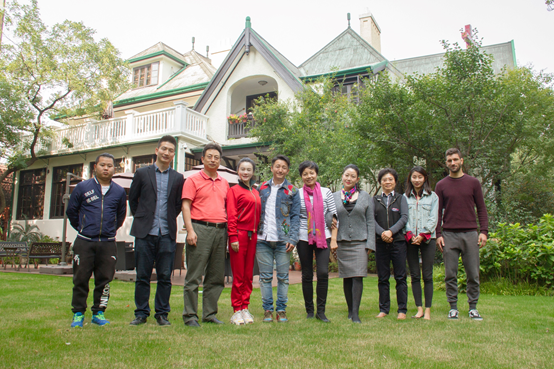 Ran Yingying and their friends visited Shanghai Soong Ching Ling Foundation (SSCLF) on the morning of October 24. Mrs. Zou Wei, SSCLF’s executive vice chairman, and Mr. Zhang Houye, SSCLF’s deputy secretary general met with them. Both sides had friendly exchange on the status and development of “Project for Girl Protection in Guangxi Zhuang Autonomous Region”.